Several years ago a friend had been doing demolition work for an older lady and she asked to him to carry off whatever was left in the building. So he gathered many craft type books and gave them to me. They range from 40’s to late 80’s. 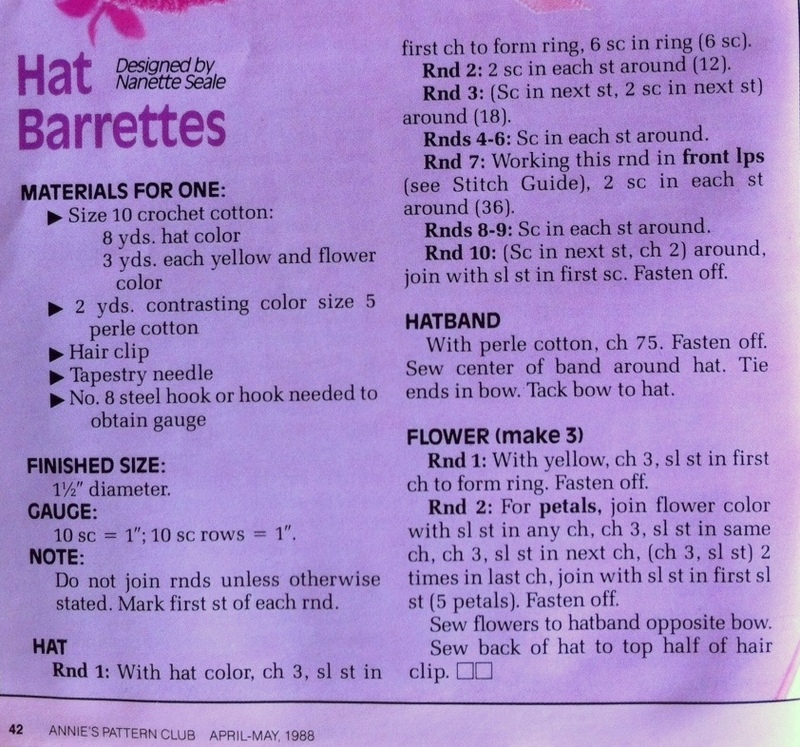 This is a project for Crochet Bonnet Barrettes, which, to me, may be too much to wear on both sides of head but would be nice as a single barrette in the back. So, I’d like to pass it on to those of you that might be interested. I am including the instructions via a photograph of the original book page. Displaying the original documents may require user to magnify photo to read. If this doesn’t provide an adequate visual let me know and I will type it out. 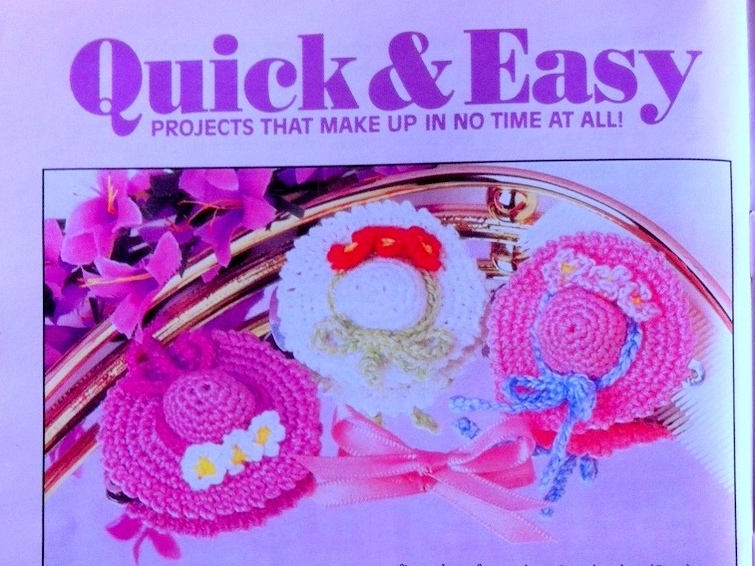 So please find below, what looks to be a fun and quick crochet project.